The Global Underwriters Diplomat International plan is a travel insurance medical and evacuation insurance that covers travelers outside of your home country (except to the U.S.). The Diplomat International travel medical insurance may be purchased for a few days up to 12 months. The Diplomat International travel medical insurance is underwritten by Advent Underwriting Limited on behalf of Syndicate 780 at Lloyd’s of London. The Diplomat International travel medical insurance is rated, as of 2017, A “Excellent” by A.M. Best. 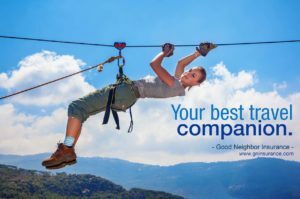 Good Neighbor Insurance has provided the Diplomat International travel medical insurance to our clients since 2012. We really like the Diplomat International travel medical insurance for a few reasons. Here are a few of those reasons. Please go to our web page at for the most up-to-date information on the Diplomat International medical insurance at https://www.gninsurance.com/diplomat-international-travel-medical-insurance. Great sports rider for many different sports including scuba diving. The athletic sports and hazardous activity rider provides coverage if your injury or illness results from the below enumerated athletic sports and hazardous activities. 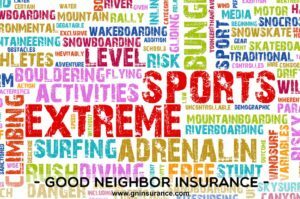 You may purchase coverage, with the payment of additional premium, from specific bundled options of athletic sports and hazardous activities. War risk coverage. Also covers for terrorism when adding this rider. Amazing evacuation medical cover. Benefits are paid for Covered Expense incurred up to $500,000 for any covered injury or illness that requires immediate medical transportation from the place where you are located (due to inadequate medical facilities). Persons up to age 69 are eligible for all plans. Persons age 70-79 are eligible for plans A and B. Persons age 80+ are eligible for plan A only. What’s the difference between all of the plans for this Diplomat International travel medical insurance? All of the Plans have the same standard benefits (i.e. Emergency Medical Evacuation, Repatriation, Emergency Reunion, Trip Interruption, etc.). The different plans allow you to choose which Medical maximum benefit limit you would like. The medical maximum limit, is what the policy will pay up to should you need to go to the doctor, urgent care or hospital. Please go to our web page at for the most up-to-date information on the Diplomat International medical insurance at https://www.gninsurance.com/diplomat-international-travel-medical-insurance.